Looking for a nice outdoor furniture for your porch or garden? Here’s a DIY outdoor bench that’s not only cheap but also sturdy and pretty if you’re into rustic furniture! 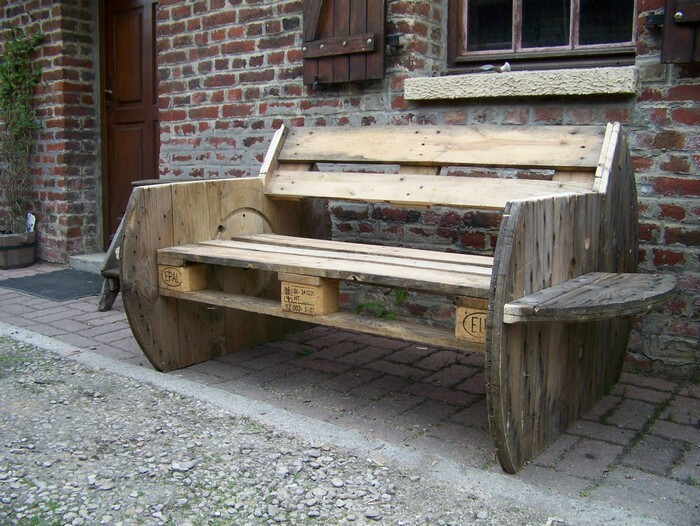 This garden bench is made from an empty wooden cable reel and a pallet assembled in a simple yet stylish manner. If you can get your hands on a cable reel that’s not being used and pallets for free, then you can practically have an outdoor bench for a song. It’s also very easy to make, using only simple tools that DIY-ers would most likely already have in their tool sheds. Cheap, easy to do, rustic and a great conversation piece for your backyard parties – what’s not to love about this DIY furniture item? Is this going to be your next outdoor project? Next PostOrganizer your laundry area by building this easy laundry basket dresser!